With the new stylistic choice in countertops being light grey, beige, and white stones, a multitude of quartzites are the most optimal materials to use. 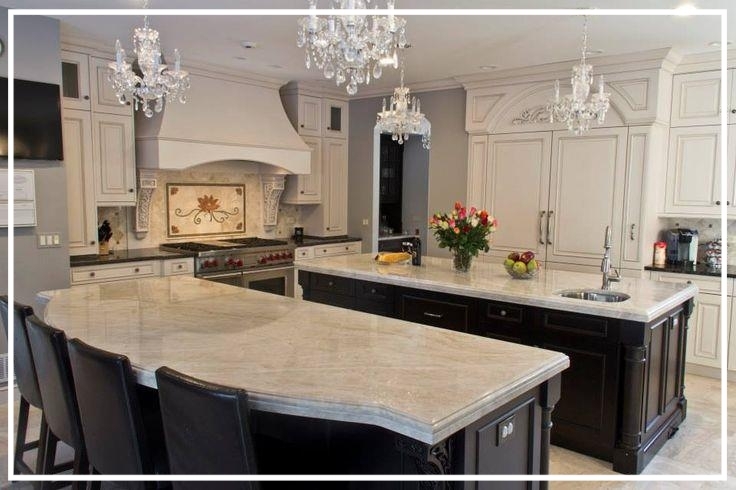 Quartzite consists of a larger volume of quartz than granite; under heat and pressure combined, quartzite is formed from sandstone and quartz, and with the amount of pressure undergone, empty grains of sandstone are stuffed with quartz. This means quartzite is actually slightly harder than granite! A true quartzite will NOT etch like marble can, and can have some of the same gentle veining and light colors found in many marbles. Porosity can vary with different kinds of quartzites, so it is important to go over porosity concerns with your project professional. Typically, properly sealing your quartzite will help with porosity concerns.